Do not lean on your own understanding...I will never be able to gain a sense of understanding by looking at my circumstances, my perceptions of my circumstances, the opinions of others regarding my circumstances, or even the players in my own circumstances. Analyzing the details, over thinking and projecting into the future will bring about a sense of anxiety in me and do little to bring resolution to my questions. Trying to make sense of things and make everything fit into a tidy formula gives me a false sense of control and causes me to act out of my own intuition rather than being led by the Spirit of God. What then should I do? Seek first...I hear it over and over again resounding in my spirit. Seek first the Kingdom of God and all of these things will be added unto you. It has become my daily question. What am I seeking first? Is it His Kingdom or all these things? This is the right question to be asking. It is the question that brings all other questions into focus. When I invest my time and my attention in a vain effort to control matters that should be left in God's hand, I find myself given over to fear, worry, anxiety, even confusion and chaos at times. When I set my gaze on Him and let everything else fade into the background, I am able to rest and be secure, knowing that He is working out all things for my good. It becomes less about figuring it all out and more about hearing His voice every moment. Lord, what step are you asking me to take now? Where would you have me to go in this moment? What would you have me to do? God is using the situations and circumstances to draw my attention to how much I need Him. He is allowing me to feel things, to experience things and to walk through the fires of life to draw me closer to His heart and to increase my awareness of my dependency on Him. He desires to satisfy every hunger. He longs for me to rest in Him. Day by day He reveals Himself to me as my constant companion. When I understand that His love is all that matters and that nothing can separate me from His love, no situation seems as pressing, daunting or scary. Today, I choose to lay down my questions. 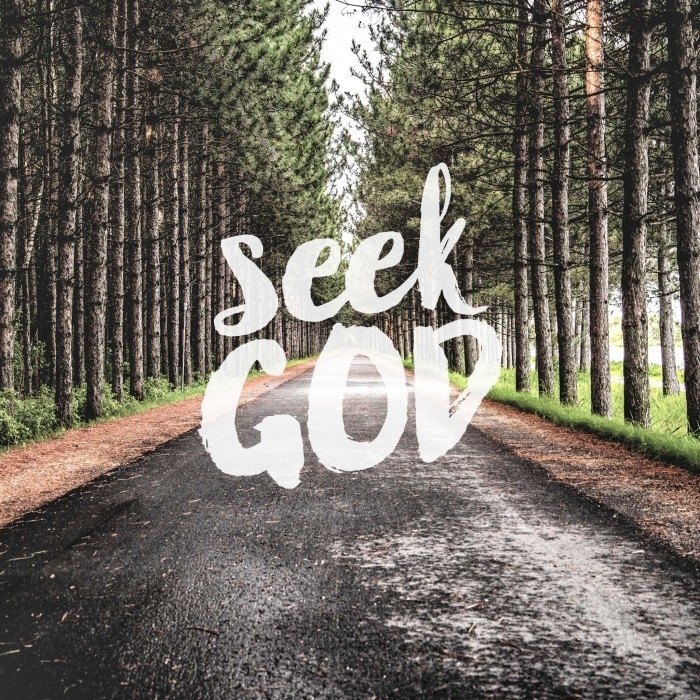 I chose to stop asking for a time even, to seek Him first. My desire is to come to a deeper understanding of Christ, my answer. The Answer.